If you’re worried about your horse’s skin and hooves during this wet weather, this blog is just for you. We know that the winter can be a tough time. If your horse has got mud fever, it can be a tricky condition to treat and, if he hasn’t, you’re constantly checking to make sure that his legs are mud fever free! 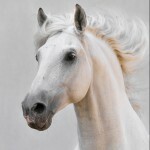 Hooves can become soft due to prolonged exposure to wet conditions, but move the horse inside and the stable environment can support issues such as thrush, hooves that smell, and more. We manufacture a number of products designed to help support the skin and hooves all year round, including the winter months when conditions can mean that they’re compromised. We do, however, believe that careful management plays a key role in skin and hoof care, not only to help prevent an issue, but also in the speed at which an issue is identified. With all conditions, it’s important to take action as soon as possible- prevention is better than cure, but sometimes this isn’t possible. We’ve put together a handy guide to our mud, skin and hoof products, to help you select the best one for your horse’s needs. If you’re not sure which one would work well for you, you can always contact us and we’ll help you. Mud Block Cream can be applied each day and washed off with Winter Leg Scrub when the horse comes in from the field. 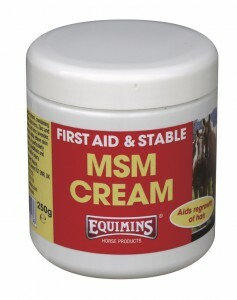 The cream contains a powerful bacteriostat and provides an easy to apply barrier for the horse’s lower leg. Mud Block Lotion is also a product designed for daily use, but the lotion presentation means it’s easier to apply to horses with feathering around the lower leg. It contains colloidal silver held in suspension for even distribution, and cetrimide, to help preserve and maintain healthy skin. Mud Slide Lotion contains pig oil to help mud slide away from the leg, and anti-bacterial agent Flowers of Sulphur, for the bacteria in the mud. This traditional combination has been used for many years to help prevent mud based problems. Mud Block Supplement helps to support challenged skin from the inside out, using minerals, essential oils, dried herbs and roots. This powdered supplement helps to nourish the skin and is ideal for the winter. Winter Leg Scrub is perfect for washing off legs after a day in the field thanks to its anti-bacterial and anti-fungal formula. Better still it’s free from harmful chemicals and it’s very cost effective because we supply in it a concentrated format, ready for you to dilute. Our Udder Cream and Udder Ointment also contains cetrimide, aloe vera, castor oil and tea tree oil. It can be used as a barrier in muddy conditions, and also to help soothe the skin. Hoof Disinfectant Trigger Spray contains a variety of safe bactericidal and fungicidal essential oils to help keep hooves healthy. Whilst other products may do the same thing, few are as safe as our Hoof Disinfectant, so you can use it without concern. It can also be used on abrasions and for wound cleaning as needed. Hoof Moisturising Balm can help prevent drying and cracking, making it a great choice for horses that spend time indoors in winter. The formulation locks moisture in at the same time as applying a waterproof, moisturising layer wherever used. We also sell Biotin 15, Biotin 25 and Hoof Mender 75 for hooves in need of nutritional support. Equi-Balm is a very handy product to have in your first aid kit, especially in the winter. It’s water repellent, can be used as a mud block and also helps to maintain healthy skin and encourage the growth of new hair. MSM Cream uses aloe vera, zinc, castor oil and MSM along with carefully selected essential oils to help soothe minor skin conditions. It can also be used as a mud block. Tea Tree Mist is very easy to apply and can be used on hooves as well as skin. It’s anti-fungal, anti-bacterial and can be used to disinfect areas. To see the rest of our range, just visit the website.